Starting with a 3-wheeled scooter is highly recommended as it requires less practice than a 2-wheeled one. And with less practice, you child is unlikely to fall and get road rash. He/she will be comfortable with the scooter within a few days. In this compilation, we bring you the top 10 best scooter for kid in 2017, to give you a hint on what the market has with respect to this product. Designed for youngsters, this folding scooter from Razor has a three-wheeled design, which helps build coordination and maintain balance. It also has a wide polypropylene deck, which is slip resistant to minimize accidents and injuries. The fact that it has a folding mechanism means it is easy to store and transport. Your kid can play with it anywhere because it is highly portable. 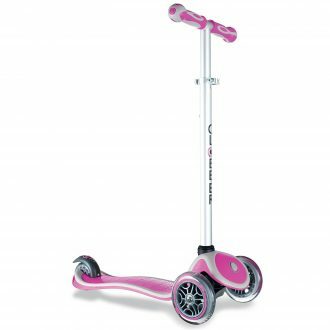 Urethane wheels and easy-to-grip soft foam handle only make this scooter a must-have. It is made of high quality steel, aluminum, and plastic materials for lifetime performance. This 3-wheel adjustable height scooter is what you need to make your kid happy and love you more. It features a patented secure lock button that keeps it moving in a straight line to help your kid learn to balance. When you lock the button, the scooter’s spring-loaded steering mechanism will allow your young one to learn to steer, while front pivot supports will help him make smooth turns. Handlebars are adjustable from 26.5 inches to 31 inches, so your child can grow with them. The Globber Scooters 3 Wheel Scooter can hold up to 110 pounds and is recommended for kids aged between 2 and 6 years. 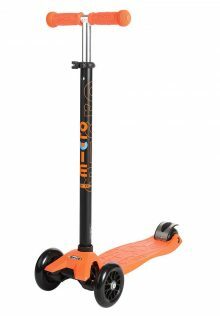 The Micro Kickboard Orange Scooter is a special type of scooter designed for elementary school-age children. Its steering is equipped with a curving & carving action that is a little like being on a skateboard but with greater maneuverability and control. 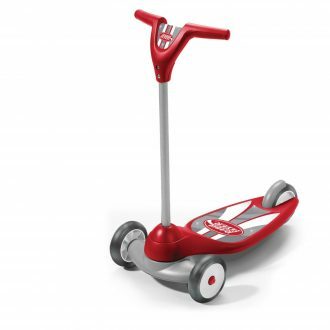 The scooter offers exceptionally smooth glide, which makes every kid fall in love with it. Its 3 wheels are made of sturdy construction for outstanding performance. Furthermore, it has two steering options; the Joystick for better curving & carving and the traditional T-bar for effortless balancing. Do you want to surprise your kid with an adorable gift? Well, look no further than the Micro Kickboard Scooter with T-bar. It is purple in color and will get every head turning and perhaps ask where you got it from. Its handlebar styles are interchangeable for great scooting experience. Ideally, its steering stick can be extended from 24 inches to 36 inches, and its 3 wheels are made of durable construction for lifetime performance. The Micro Kickboard Scooter is designed for elementary school-age children. A scooter is the best way to help your kid learn how to balance and coordinate. Yes, that’s exactly what this scooter from Radio Flyer does. It has an extra-wide base and features 2 wheels in front to help optimize stability and safety. Ideally, its turning radius is designed in such a way that it provides additional safety without compromising mobility. It also comes with a footbrake for added control and its rear wheel features a cover that makes it a safe ride. 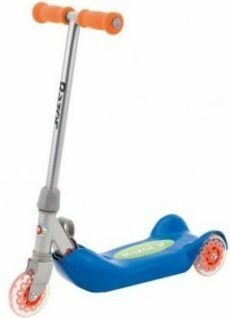 Do you have a kid who loves kick scooters but also likes the versatility of a shredding scooter? If yes, then the Rockboard Mini Scooter is the thing! It combines these two to come up with something beyond imagining. Ideally, it comes equipped with advanced Rockboard propulsion technology that features a steel power-drive chain to allow kids to shred the pavement in Rockboarding mode. 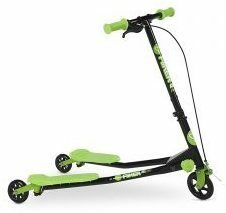 But, if your kid loves a more casual ride, then he/she can adjust the 2-position locking joint and turn this mini scooter into a low-profile kick scooter. Move in style with the Space Scooter Ride On. It features an award winning design, and this only means one thing; you and your family will get the chance to experience a fun and unique way to travel. The foldable scooter will allow you to reconnect with outdoors for a memorable experience. It comes equipped with an anti-roll-back protection handbrake to ensure a safe ride. Its rear wheel also improves safety; thanks to its air suspension and hand brake. The foldable design means this scooter is convenient for storage and transportation. Perform smooth carving and drifting action with this innovative, freestyle scooter from Yvolution. It is easy to use and all you are required to do is to simply move your hips and legs from side to side to get going. 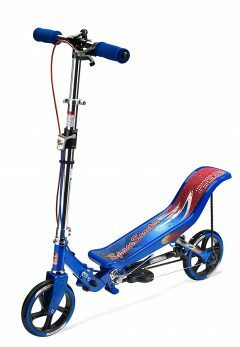 The Yvolution Swing Scooter is sturdy enough and can hold up to 176 pounds. Moreover, it is spacious enough with 37.13 inches long by 24.61 inches wide by 37.20 inches high dimensions. It also has a quick response hand brake for optimum safety and advanced precision. Razor has been on the limelight for a long time; thanks to its high quality and innovative products. 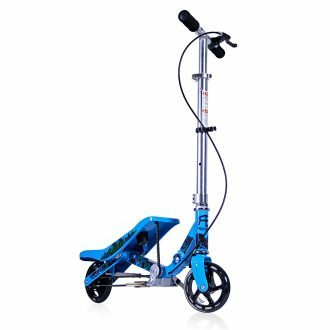 The Razor A Kick Scooter, for instance, is constructed with lightweight aircraft grade aluminum frame for ultimate durability and peerless performance. 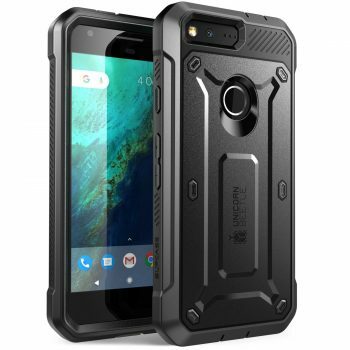 Moreover, it features a foldable design, and this means it is convenient for storage and transportation. Its urethane wheels deliver a smooth ride while its adjustable handlebars accommodate users of many different heights. The handlebars also feature foam grip for tireless riding experience. The Razor A Kick Scooter is constructed with sturdy aircraft-grade aluminum. It is top performing and strong enough to serve you for as long as you are interested in its services. 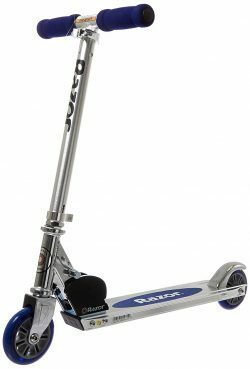 The Razor A Kick Scooter is one of the best ways to surprise your kid and make them adore you more. 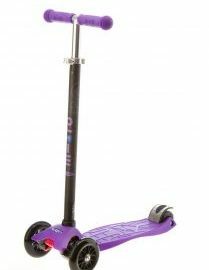 It features 98-millimeter inline-style urethane wheels with ABEC 5 bearings for smooth, safe ride. It also has a patented rear fender brake for Quick stops. 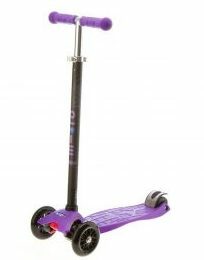 The Razor A Kick Scooter is recommended for kids aged 5 years and older and weigh not more than 143 pounds. Let your kid not stay at home all through and get a way you can make them exercise outside in a fun and comfortable way. Of course, one of these ways is to buy them a scooter. With little practice needed, your kid will be a pro within a few days. He/she will be comfortable scooting in the neighborhood and learning new concepts such as balance and coordination. Get him/her one today and see what they have been missing.